I love writing. It is incredibly empowering. The sheer fact that I can actually put my thoughts onto paper in a way that other people can read and understand is amazing. Paul Graham wrote a wonderful article titled Write like you talk and I agree with it wholeheartedly. In my opinion these are the main pillars on which I try to build my writing skills upon. If I don't believe in what I am saying, it is waste of both mine and the person's reading my work time. If I believe in what idea or message or thought that it is I am trying to say, writing becomes second instinct and it is much easier to translate what is in my head onto paper. Being honest with yourself may sometimes be difficult but journaling often helps in this regard. I try to have my writing be as transparent as possible for the person reading it. If something can be said simply, it is best to say it, simply. Read other people's work. Read books. Both fiction and non fiction, and get a taste to how different styles of writing can exist and how they can be used effectively. Always be conscious when I am writing something and try to focus on the message and remove as much fluff as possible. Words like 'really' have no place in writing as they only undermine what you said before. Be aware of pacing between words and sentences. The sentences ideally should flow into one another. Breaks in form of commas and full steps are important. As they allow for the reader to take a break and absorb the point that you tried to deliver. Replace words like really like with love or other more appropriate words that save space writing and are more relevant to what I am trying to say. I then start writing the article and try to touch on one or all of these points as I write the article. I add/remove points as I write the article. I write all my articles in Sublime Text app and use a small Alfred workflow to search through articles I am pending on finishing. Once I wrote the article that I am quite happy with. I export the article straight to Medium with MarkdownToMedium. I then reread the article again in Medium's editor and fix any styling issues/mistakes that happened. After that I publish the article and share it on Twitter and other internet places. Short focused post is easier to both read & write. Focus on making a single point. If your post needs a table of contents, it's probably too large in scope. Find a format that works for you. Experiment, ask for feedback & iterate. A few, clear examples go a long way. 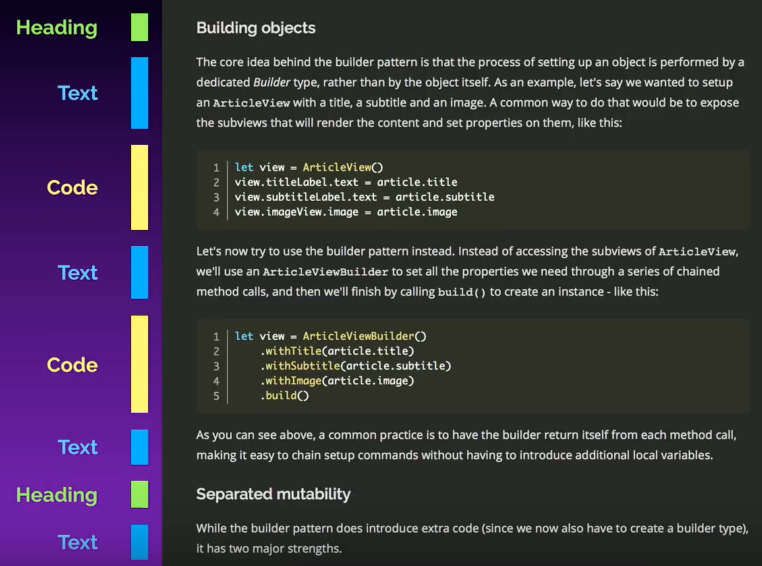 Headings, code samples and images can provide visual "anchor points". You don't have to be an expert, just don't pretend to be. Topics are everywhere - just look at the problems you're solving every day. Most adverbs are superfluous. Most cases where you say "generally" or "usually" you're undermining your point and the use of "very", "extremely", etc. are hyperbolic and breathless and make it easier to regard what you're writing as unserious. Examine every word: a surprising number don’t serve any purpose. ​Learnup - Service to publish books. ​Awesome book authoring - Collection of awesome resources for technical book authors. ​Write.as - Minimalist, privacy-focused, writing and publishing platform. ​Typegram - Open source publishing platform.